The USA’s failure to qualify for the 2018 World Cup has unleashed a barrage of criticism at American youth soccer, especially pay-to-play. Well-positioned to address that issue is Nick Lusson, the director of a Northern California soccer program that is cost-free to more than 1,800 children. 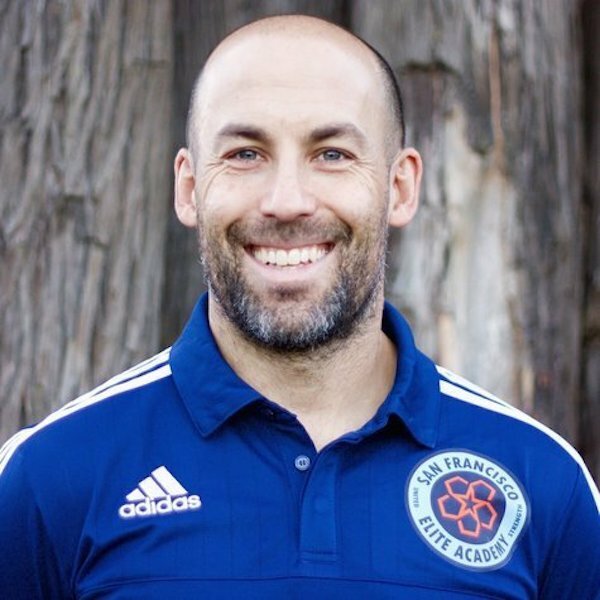 Lusson, who previously served as director of suburban Dublin United Soccer League, is also coach and director of U.S. Soccer Development Academy club San Francisco Elite Academy. 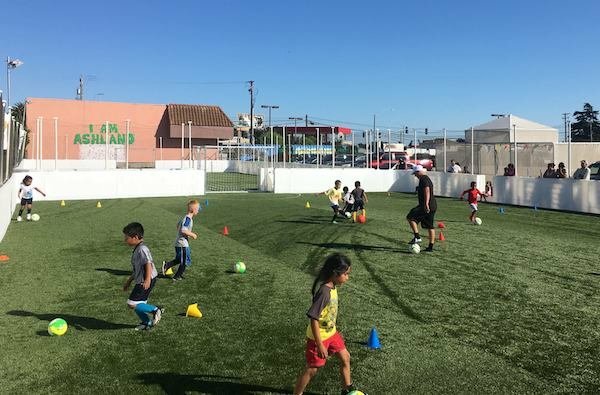 His work at NorCal Premier Soccer, as club services coordinator, includes helping lower-income clubs meet the demands of the modern American youth soccer structure. SOCCER AMERICA: Before we address pay-to-play, tell us about Alameda County Deputy Sheriff’s soccer program? 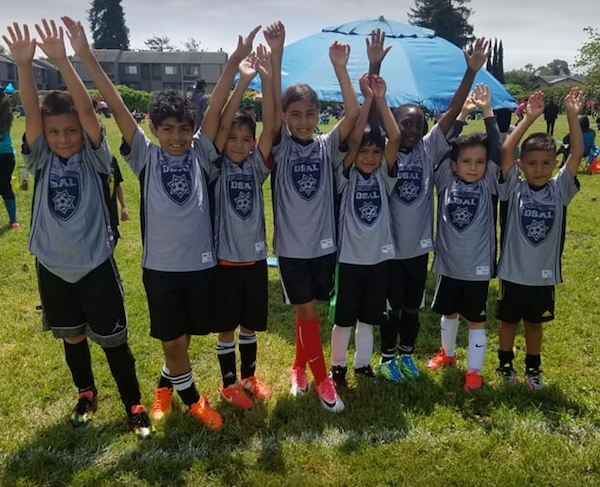 NICK LUSSON: Our soccer program is part of a non-profit organization (DSAL: Alameda County Deputy Sheriffs’ Activities League) dedicated to providing a variety of pro-social activities for an under-served community. This “community policing model” has the objective of developing a healthier community by proactively addressing the conditions that lead to public safety issues. Our soccer program is just one of our many programs. We provide a free recreational soccer league for over 1,800 kids and after-school programming at two elementary schools for around 200 kids. We just launched Sheriffs Fútbol Club, a cost-free competitive youth club providing experienced and highly licensed coaching. NICK LUSSON: We serve the Ashland, Cherryland, and San Lorenzo communities, a population over 60,000. This is an unincorporated area south of Oakland that features a large percentage of Latino and African-American families, in total over 80% of the population is non-white. It suffers the county’s worst mortality rates, highest unemployment rate, highest robbery rate, lowest ratio of parks to residents (national guideline is 3 acres per 1,000 residents, we have .76), and highest incarceration rate. SA: And an area with talented young soccer players? NICK LUSSON: Unbelievable talent throughout the area. Most never get an opportunity, and that’s what we’re trying to change. We were seeing so many highly talented players in our recreational program that had no pathway within their community to reach higher levels of the game. That was part of the impetus for launching a competitive program. Many of the players we are scouting and developing were not on teams or playing for local clubs because they can’t afford the fees. These are the players and families that have historically been disenfranchised from the larger club soccer system. Some of our teams have been participating in US Club Soccer tournaments since this summer, and already have demonstrated that they can compete with top teams in Northern California. We bring this up simply to point out that we are one small and previously under-served area in a huge country of 325 million people. How many other kids are being forgotten because they don’t have money or resources in their community? SA: What are your facilities like? NICK LUSSON: We train every night at fields we built ourselves next to a liquor store. Through the work of our amazing sheriff’s deputies, we transformed a crime-ridden vacant lot full of broken bottles, weeds, and rocks into two 5v5 street soccer fields. We have limited park space and are working to fund other field projects that will create more space for our kids to train and play locally. SA: How is the program funded? NICK LUSSON: The majority of DSAL's income is through government funding, a combination of ongoing county support and federal grants. A little under a quarter of our funding is through foundation and private funders. We don't charge fees to the vast majority of the people we serve, so we have almost no earned revenue. SA: How did the program come about? NICK LUSSON: DSAL was originally launched in 2005 by Captain Marty Neideffer and our Executive Director Hilary Bass. Both were working in the community and recognized the need for more healthy activities for the children here. The soccer side of things existed as an internal recreational league until two years ago when I came on board. Myself and longtime colleague, Omar Cervantes, had coached and directed in the more affluent East Bay clubs since 2002 and had long discussed working on a project such as this. Knowing a lack of opportunity existed for so many kids so close to home and the disillusionment with our youth clubs at the time were really the driving forces in working to help build an alternative model. SA: After Trinidad & Tobago beat the USA, from Taylor Twellman to The Economist blamed pay-to-play. Do you believe programs such as Alameda Sheriff’s are a solution? NICK LUSSON: A part of a broader solution, yes. We don't believe in a single magic bullet that will turn us into Spain, Germany, or Brazil overnight, but we do believe that some solutions do exist already. I also don’t believe everything is broken in our system. Every country faces their unique challenges and we’re still a work in progress at overcoming ours. We humbly present our program as a model that addresses the pay-to-play model and connecting to historically disenfranchised communities. Our focus is on solving for our community as best we can today with the hope that this same solution can be replicated elsewhere. SA: Some costs of youth soccer seem to be a symptom of our society. Such as clubs having to pay for field space, thus having to charge parents more. How big of a problem are field costs? NICK LUSSON: It depends, there’s a broad range out there. In working with various clubs in our state, we see some spots that have free fields (San Francisco as an example). Then there are certain communities where the field costs are nominal if anything. And then you have places where field costs are very high. There are areas where, for example, a club with 1,500 players pays more than $100,000 a year to use the fields. That means the parents have to pay extra to use the facilities their taxes already pay for. Some Park and Rec Departments have started to look at club sports as an income generator to help cover costs. Which is understandable up to a certain point, and then you have to question the impact it has. Although to be fair, our youth clubs aren’t always the easiest user groups for their departments to deal with, so it all cuts both ways. NICK LUSSON: Oh yeah. That’s a huge hidden cost. I think a lot of parents don’t realize how much they’re getting themselves on the hook for. In club soccer, we don’t advertise how much it’s going to cost you to travel to all these tournaments. If clubs told them that, they’d scare people off. SA: Uniforms can be very expensive. NICK LUSSON: It can be a silly arms race. Clubs “have” to buy the really nice uniforms because you have to keep up with the Joneses who have really nice ones, so then you have to get the customized nice ones. I didn’t have a proper jersey and soccer uniform until I was in high school, and that was a uniform that was three or four years old and passed on. I still don’t understand why we don’t have kids play in T-shirts at the youth level. NICK LUSSON: I would say in Northern California it’s not a big cost because we have the competition between Cal North and NorCal that keeps that in check. I’ve heard in other states that’s another cost that’s been creeping higher and higher every year, especially in states where you have a monopoly, just a single state organization, so you have no alternative and you have to pay what they charge you. Tournament costs are definitely where you’re seeing the much more significant spike in costs, both in registration fees and travel costs. SA: One of the major costs is compensating the coaches, right? NICK LUSSON: That’s a sizable cost. You do have people who are very qualified who work hard and are excellent educators. The A-license is a pretty stringent and expensive process to go through. You have people with advanced degrees in childhood development, kinesiology, sport psychology -- these are very experienced, well qualified people who I think should be compensated for their work. Teachers should be paid more. Coaches should be paid more. I think people who work with children are an asset to society. The downside with paid coaching is there’s also a lot of total B.S. in the paid coaching market. Inflated qualifications and backgrounds. Oftentimes clubs who are in need of coaches take underqualified people to make sure they don’t lose a team and/or revenue stream. I’ve been guilty of making that mistake in my own career as a club director. And we don’t have an apprentice mentality or approach anymore. I feel like it used to be that way when I started coaching. I spent years coaching for free and I felt that was my apprenticeship, learning to coach, and it was an investment in a future career. But now it feels like a 22-year-old straight out of college is expecting to get full-time pay as a youth soccer coach right out of the gate. SA: Is the volunteer-coach model not sufficient nowadays? Many lower-income clubs especially depend on volunteer coaches. NICK LUSSON: I’m going to speak in a big generality on this one, as there are countless exceptions to this. I’ve seen some amazing volunteer parent coaches working in under-resourced clubs that blow the doors off some A-licensed guys out there. But if you average it all out, then I believe they certainly are at a disadvantage, especially if they’re not in an environment that provides them with the proper training, guidance, and support. In theory, a paid coach should have the time to be properly planning sessions, following a player development curriculum, providing feedback to players, working with the rest of the coaching staff, and pursuing their own self-development and continued education. A paid coaching model provides the time to maximize the environment for the development of the kids. However, we have to find solutions that address our current reality. The majority of youth soccer players in our country are being coached by volunteer parents. I don’t agree with being dismissive of those people and their important contributions to our sport. Some of the professional European clubs that we all like to admire also use volunteer coaches. I think the solution lies in providing them with more tools and supports in order to be more effective in their roles. SA: For low-budget clubs, for volunteer coaches who don’t have the time or finances to take high level courses, what’s your advice? NICK LUSSON: The U.S. Soccer Federation’s F-license is a good start. It’s a cost-effective online course that lays out some quality basics. After that, I think it’s important to be creative on all levels of this topic. For coaches, I always suggest a combination of free online articles and resources like YouTube, going and watching other coaches run sessions, and then just buying in to a sense of a coaching community. Get that coffeehouse-philosopher dynamic going where they carve out some time to have a beer with a colleague and debate about coaching. For a club, I think you can do a lot internally that costs you nothing. Just a system of regularly having coaches observe and reflect on one another’s coaching can benefit all parties. A coaching director’s job should be to provide regular clinics and workshops for their coaches both on and off the field. You can bring in outside specialists who will often volunteer their time. On the larger organizational side, I’d like to see more people follow the example set by NorCal Premier Soccer on our state end. There’s been a lot of great work there done in providing free, or at least very cheap, coach education by some world-class clinicians that come from all levels of the game. The license-system is just one facet of what makes up a coach’s development. SA: Anything else you’d like to address? NICK LUSSON: I’m encouraged that these debates are happening. If there’s a silver-lining to our failure to qualify for the World Cup, it’s that it’s forcing us to take a harder look in the mirror at our own work. I know one of my first reactions was to ask myself, what am I doing down here at a lower rung of the ladder to help us succeed at the next Cup? If we’re all willing to first admit that we’re a part of the problem, then we can all be a part of the solutions to come. 12 comments about "Nick Lusson, California coach brings sheriff's program to under-served, addresses solutions for pay-to-play and soccer's arms race". beautiful game, October 31, 2017 at 3:02 p.m.
Mr. Lusson is ahead of his time and his experiences and success story needs to be implanted in every community interested in giving youngsters a soccer experience. Andrew Brown, October 31, 2017 at 4:24 p.m. I find organizations like AYSO even more difficult to stomach than these "pay-to-play" organizations. AYSO all but requires you buy a "team sign" from their vendor. They require you pay for participation trophies...again from their vendor. Then there's a push to have your 6 year old get his name screen-printed on his jersey and his number as an add-on to his shorts - from their preferred vendor. They have all these hidden costs for a terribly coached team and they won't even let you pay to have semi-competent officials who may have once done it before, ref your games. I'd rather have my kids join a Boys & Girls Club league where the kids pretty much play sans coach, only get a t-shirt or pinny and just have fun playing the game at a young age! Bob Ashpole replied, November 1, 2017 at 4:49 a.m. Sorry Andrew, I agree with Nick Lusson. Best youth coach I have ever seen was an AYSO parent coach. A U6 8v8 format, but she made it work. She kept the kids engaged and bubbling. Former college player and school teacher. When I coached U10s years ago travel didn't start until U11. More than a few licensed coaches are parents too. If you were going to coach your kid's team before U11, it was a house league rec team whether you had a license or not. A good coach is a good coach. A coaching license is just a piece of paper. There are quite a few people with great professional and educational backgrounds for coaching youth as well as playing experience. We should get more of them involved (and get them licensed too). frank schoon replied, November 1, 2017 at 10:18 a.m.
James Madison, October 31, 2017 at 8:07 p.m.
MA Soccer, November 1, 2017 at 8:08 a.m.
Good stuff. Funded community based groups and a true regional academy (service top 0.1 to 0.5%) is future in my opinion. USSF needs to lead and properly fund this not create national policies that take away from community based programs. I.E Pointless calendar year, moving DA age down to U12 and allowing for profit clubs to cahrge for DAs. If I were king: Force DA free to partcipate (will weed out clubs and establish DA what it should be), start at U14. Heavily invest in inner city programs and community based programs working well, lower coaching licenses fee, roll back calender year foolishness, heavily scruntize state organizations (what are they doing?) and align high school FIFA rules including using referee pools. Last post for me wont be paying for this service find it pretty thin. Ron Frechette, November 1, 2017 at 10:01 a.m. The costs for soccer both what is presented upfront by a club and the hidden travel costs are in my opinion what are keeping many talented players out of the soccer systems here in the US. We need more programs like this to help coaches with contacts into the Federation and higher soccer clubs find the good players. Good coaches are out there either being paid or not, and there are too many bad coaches both paid and volunteers. Parents need to be vigalent with monitoring what is being taught to thier childern - too bad most don't understand what good soccer looks like to know the difference. The vast majority of the players we will work with are not going to play at a high level - so lets make sure they enjoy the time on the fields, in training and fall in love with this beautiful game! uffe gustafsson, November 1, 2017 at 5:30 p.m.
frank you keep on talking about as a youth you played street soccer, obviously you had a field to play on. but the truth is in Oakland there are no fieldsto simply go and play on. For starters clubs have the use of all the fields and if you go to a park then you get kicked off because you don’t have license to play on it. you are to simplistic in your view of street soccer. in todays society you have to follow the rules or you get into trouble. my own experience is I’m lucky to be able to use a park for a few times but then we get kicked off. and that’s not how you can play street soccer by going from park to park to play. and the $100K per year for field use by clubs seem very low. I’m certain our club pay many more times higher then that. frank schoon replied, November 2, 2017 at 9:49 a.m.
Uffe, I can tell by your comments that you have little understanding what street soccer really is and what it entails. "Street soccer' where I grew up the city was played on concrete. I did not have a FIELD to play on. Sometimes it was in front of my house playing in the street ,which is not very wide, 1v1 or 2v2, employing 2 small sewers with bars opposite each other as goals. We used a tennis ball or a small rubber ball. Other times we played in a narrow long street with very little or no car traffic coming through where we had bigger games 10v10 or even more kids show up. There we placed 2 jackets as a goals with goalies who play as well. And I remember on Mondays there was no open air market so we played in a parking area. As I stated 90% of my game in the formative years was played on concrete, or sometimes there was an open area that was hard dry ground with no grass which was used later to build homes on. In sum the playing accommodation were mostly of concrete or hard ground which is the best way to the learn the game. Obviously nobody runs on concrete and therefore a kid was forced to employ SKILL, TRICKERY with the ball and most importantly he learned and acquired STREET SAVVINESS (BRAINS). And last but not least kids learned proper BODY BALANCE for you don't want to fall on concrete . Furthermore we didn't have fancy shoes like kids have today, we wore shoes that we went to church with. Look at the kids that come from 3rd world countries who have much better skills than our kids . Kids from 3rd world countries are lucky to even be wearing shoes for soccer or can afford a ball. Can you imagine the poor facilities kids have learning to play soccer in 3rd world countries. Read Zinedine Zidane biography about how he learned to play soccer in the ghettos of Marseille...you think he played on grassy fields. I don't want to hear this garbage about lacking nice facilities, oh we need a grassy field...Oh we need this , oh we need that....BALONEY!!! uffe gustafsson, November 2, 2017 at 5:56 p.m.
Well I played on the gravel field that in winter time was used for Bandy kind of field hockey on ice. i do understand what street soccer is or I should say was. But that’s not how it works in 2017.
you go out on a street in Oakland and try to play and you take your own life at risk besides it’s not really a good idea. In your days I bet you didn’t have cars running up and down the street. maybe you live out in the boonies and don’t dodge cars but around here it’s not working. parks is where we can do street soccer but as I said we get booted out all the time. frank schoon replied, November 2, 2017 at 6:09 p.m.
UFFE, I understand,in my days there weren't that many cars. But street soccer can be played anywhere where you find space, and that is my point ...there is plenty of space around to have small sided games. That is right I forgot gravel fields too. There are plenty of places. I would take my team to a school to play on an empty parking lot or basketball courts, public tennis courts...there are plenty of places. Ben Myers, November 10, 2017 at 8 p.m. Here is my late commentary about uniforms. For years, my lower level rec team won its league and a berth to play in a state-sanctioned tournament. The boys were all decent high school players, freshmen through seniors, from the same team. Our club provided the boys with standard navy blue uniforms, and the club had to change the brand of uniform when the manufacturer stopped making the specific style and color. Some of the boys did not even have either type of standard shirt, so i ordered numbered navy-blue t-shirts for them. I also ordered numbered t-shirts in bright colors, different each year, as the standard tournament t-shirt. None of this was expensive, which was the whole point. The bright t-shirts were intended to be the shirts the boys wore throughout the tournament. Well, one time our first tournament opponent had the same idea and the same color. We arrived at the tournament registration with the choice of playing the first match in pinnies or in our rag-tag navy blues. I lined up our boys to register in the non-matching navy blues and the tournament officials went ballistic. I asked them if they were coaching whether they would like their team to play in pinnies or in regular shirts? They soon relented and my blue collar work ethic team went and played well in their rag-tag t's, changing to the other t-shirts after the first match. There is no point in spending a ton of money on uniforms, yet many clubs use uniforms and kit, marked up to high prices, as another revenue source. This is utter nonsense. With the proper attitude instilled by coaches, players do not play any better in fancy uniforms than inexpensive ones. Club soccer in these United States needs to get a grip when it comes to uniforms, and serve their clientele, the players, better!